The Chula Vista Nature Center has a new resident -- with a nasty sting. 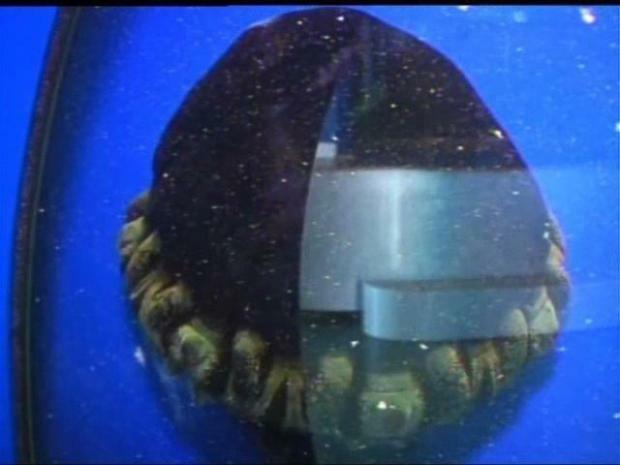 The rare Black Jellyfish, also known as a Black Sea Nettle, is now on display. The creatures are known to inhabit marine waters from Monterey Bay all the way down to southern Baja California. Experts say they're not known to exist anywhere else in the world. Recently, a number of San Diegans have gotten "up close and personal" with the creatures. Experts say their sting is painful, but not deadly. The black sea nettle has turned up in coastal waters more frequently in recent years. Oceanographers don't know why, but think it may be due to warmer oceans or changes in the plankton populations the jellyfish eat, Dr. Nigella Hillgarth of the Scripps Institution of Oceanography said. A new resident with a nasty sting. The black sea nettle can grow up to 3 feet across with 30-foot-long tentacles.